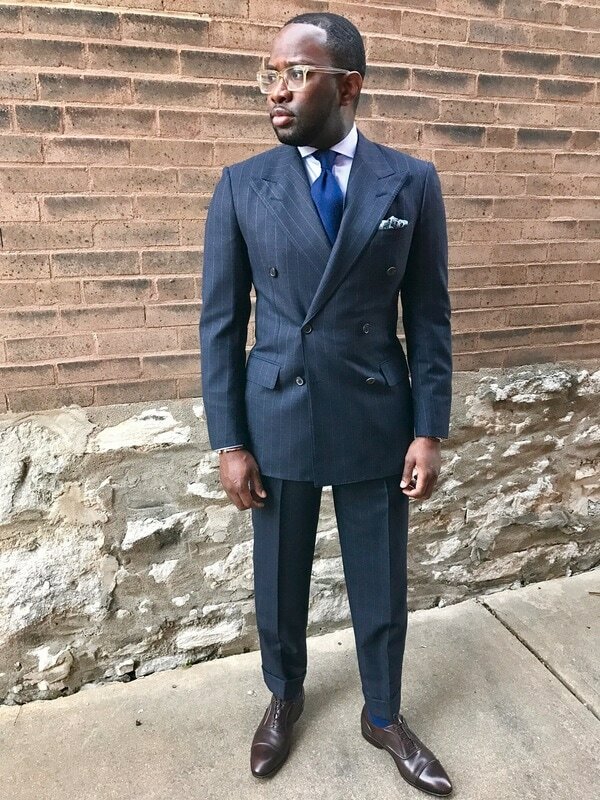 I've been a fan of double-breasted suits for quite some time now especially as they made a resurgence in menswear. For a very long time, double-breasted suits were seen as bulky relics of an era long past. Admittedly, the 80's and 90's did a number of the reputation of the double-breasted, with the mere mention of them conjuring images of the characters from "Miami Vice" in my mind. In menswear or all clothing really, the term double-breasted refers to a coat or jacket with wide, overlapping front flaps and two vertical rows of buttons. However, only one of these rows of buttons is actually functional while the other serves to balance the look out when the coat or jacket is buttoned. The buttons placed on the outside edge of the coat breast, allow the overlap to fasten in a reversible manner, with the right lapel going over the left lapel. To provide added strength to the buttoning, a functional inner button, called the "jigger" or "anchor" button is usually added to parallel-fasten the overlapped layers of the jacket together from the inside. 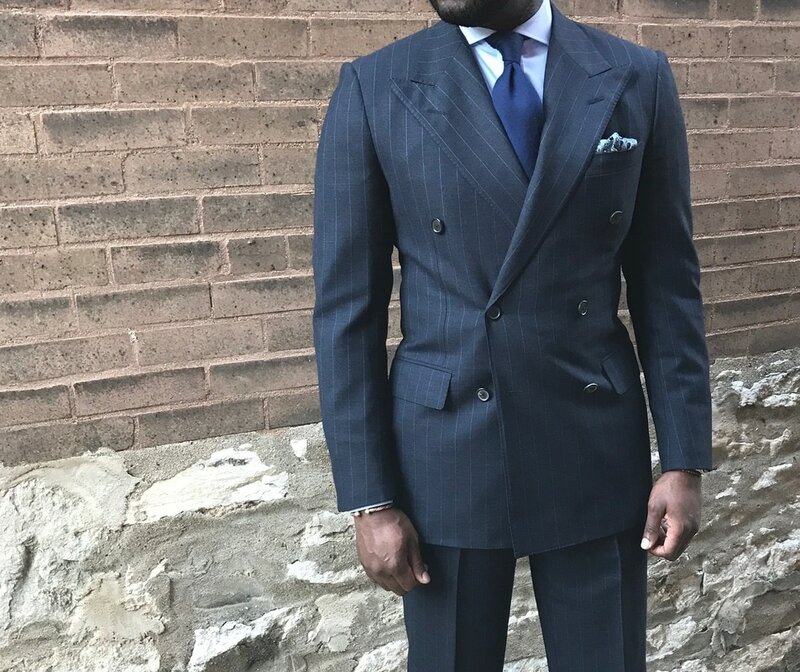 This navy pinstriped double-breasted suit by Corneliani was the first "nice" suit I purchased when I decided to really give some serious consideration to growing this side of my wardrobe. The waist has a bit of suppression going to allow it better fit my body and quite frankly now could do with a bit of letting out as I've added a few pounds around the middle. 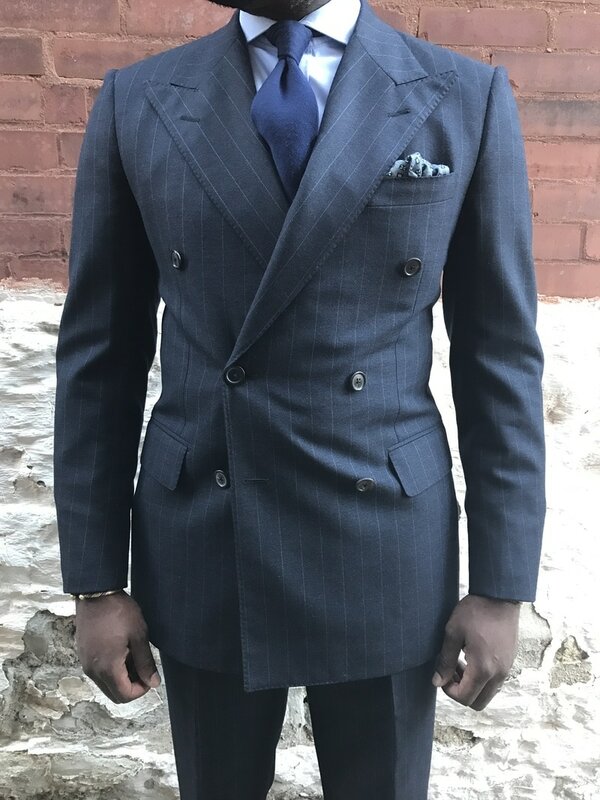 I actually like the stronger shoulders and razor sharp lines of the lapels which are in contrast to the other double-breasted suits I've since added which feature softer shoulders and more curved lapels.